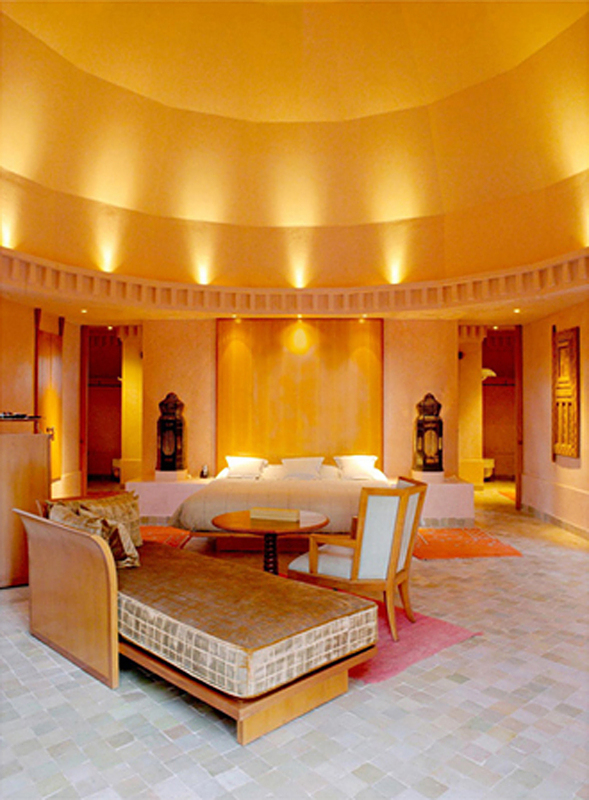 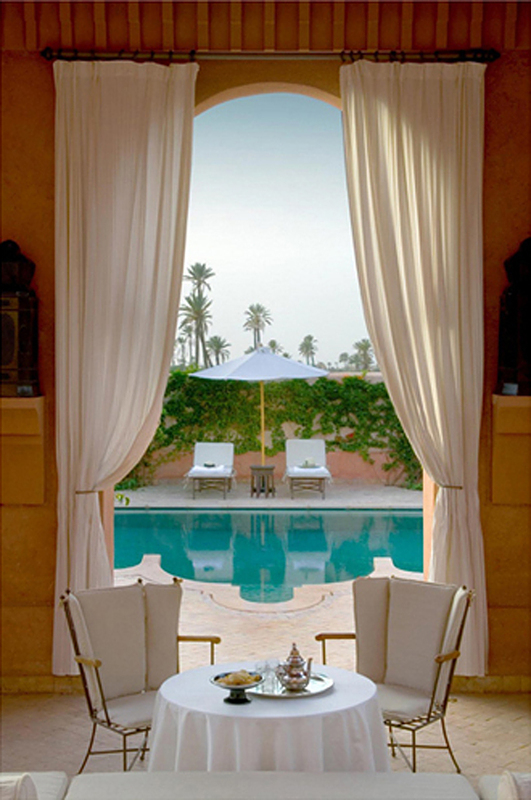 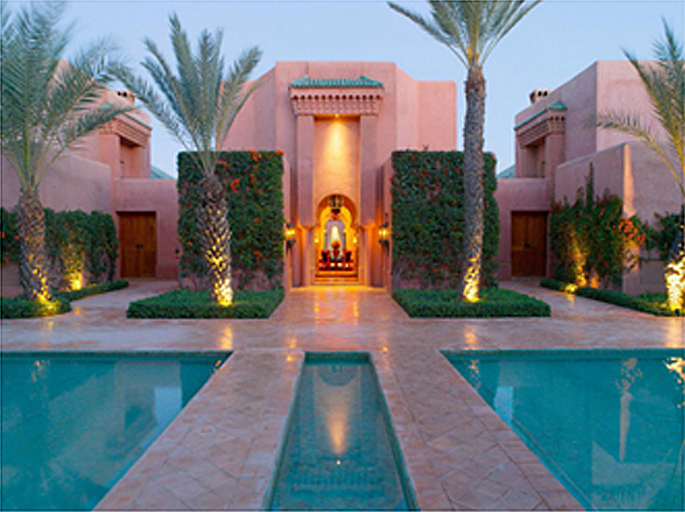 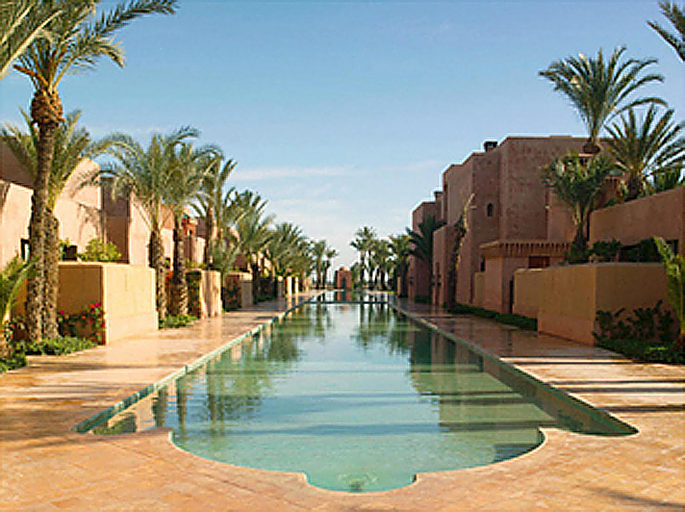 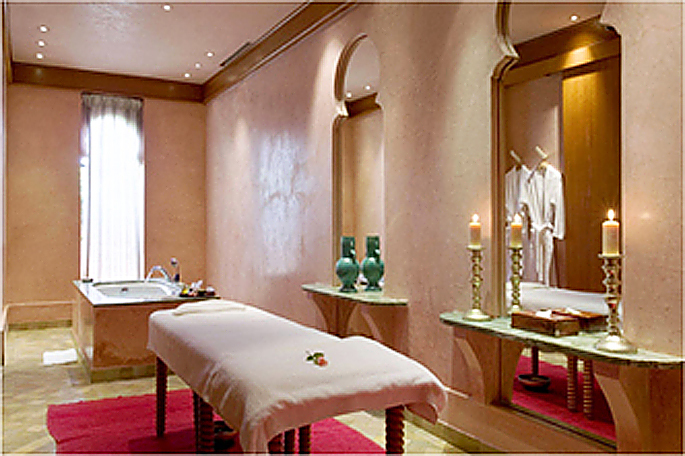 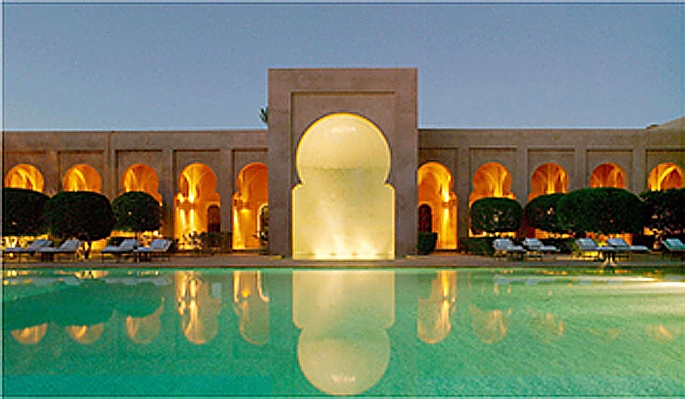 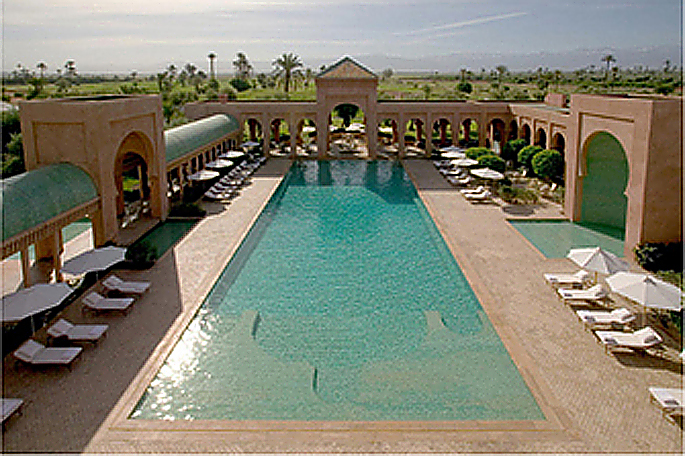 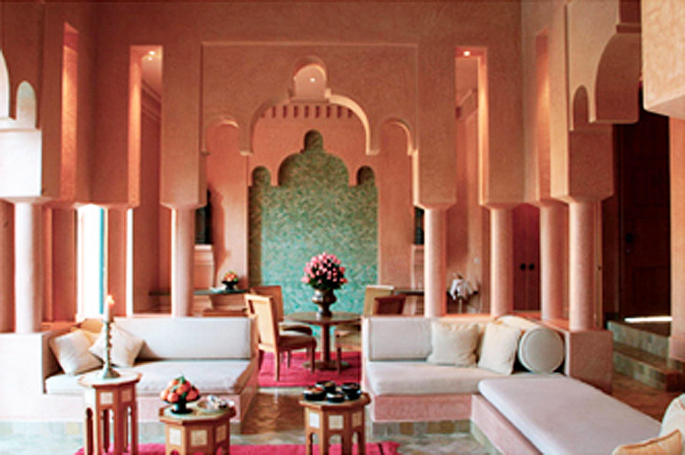 Amanjena (peaceful paradise) is the first Aman resort on the African continent and is located just outside the ancient city of Marrakech. 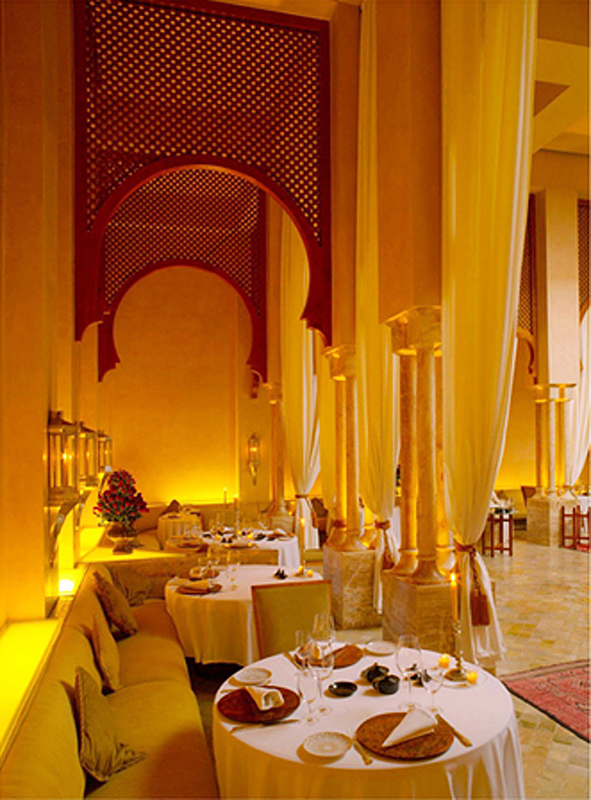 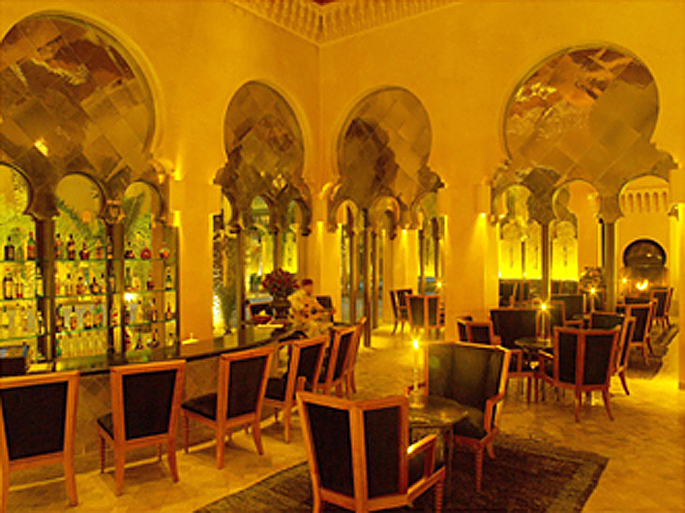 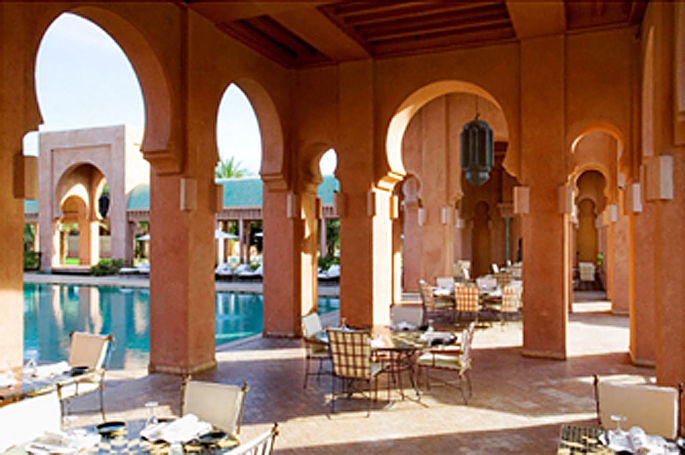 Set within an oasis of palms and olive trees, Moorish heritage is reflected throughout the pisé-walled resort, including the pavilions that radiate out from an ancient bassin, echoing the style of a sultan’s palace. 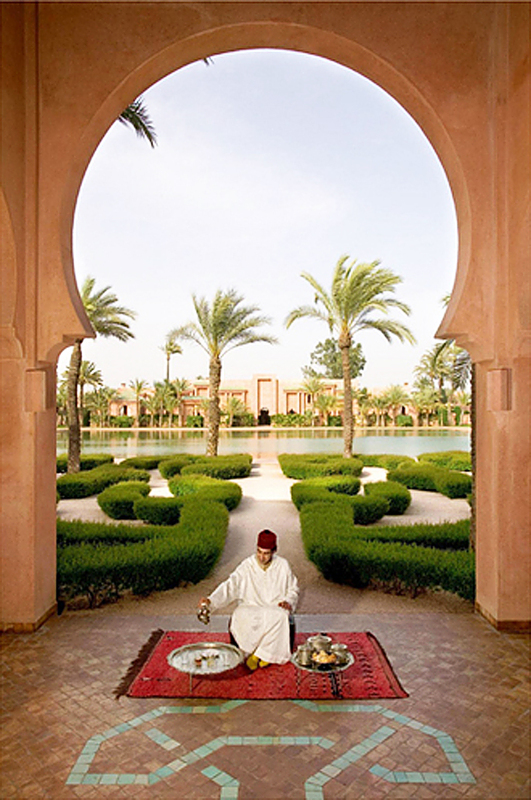 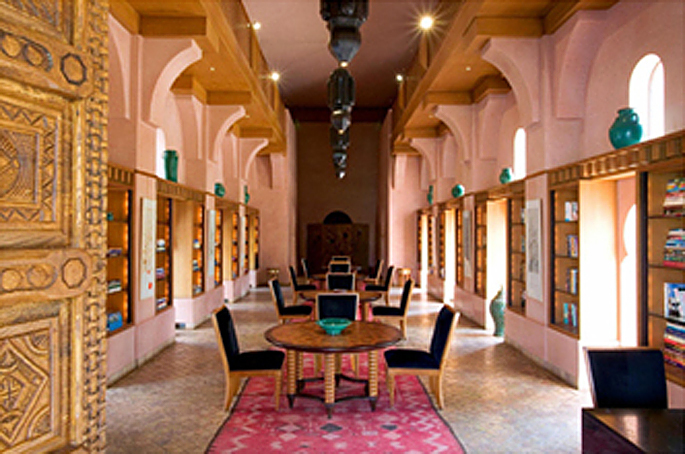 Amanjena offers a variety of guided excursions on foot, bicycle or private car into the medina, the souk and squares, palaces, gardens and craft shops of ancient Marrakech.